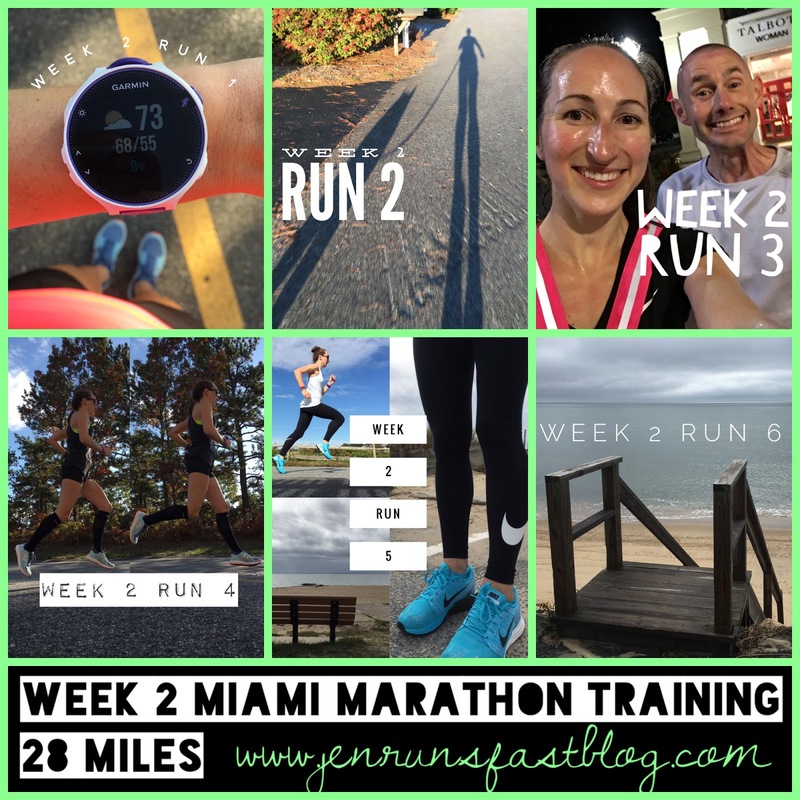 2 weeks down, 14 weeks to go until the Miami Marathon! The week started out with a few warm, sunny days that felt like summer running and I loved every minute of it. Georgie... not so much. Her only run of the week came on Monday. She doesn’t do so well in the heat and humidity (who does really?) then later in the week we saw rain and wind, which are also not ideal conditions for my diva pup. Tuesday night I made an appearance at Run Club and ran the first few miles with Jon and John and finished up with Chris before another beautiful run on Wednesday. Friday morning I was in Falmouth to get new tires. It was supposed to rain all morning but ended up being clear and HUMID so I walked to CVS to get my flu shot. 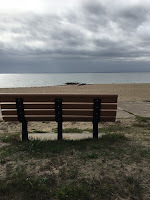 Once my car was ready I had an urge to run at the beach even though I didn’t have running clothes or sneakers. Good thing my outfit was run-able because I ended up having a great run and I was happy to tackle the hill at the Heights one more time before the Cape Cod Half. Saturday was awful. Just awful. It was 65 degrees with 98% humidity and rainy at times. I drank the entire 20 oz. of water I brought with me and I can’t even tell you how many times I stopped running. But I can tell you that the difference between “moving time” and “elapsed time” on my Garmin was over 20 minutes! I’m not totally sure what went wrong out there but I’m glad to get that run out of the way and hopefully the bunch of long runs will only get better from here. 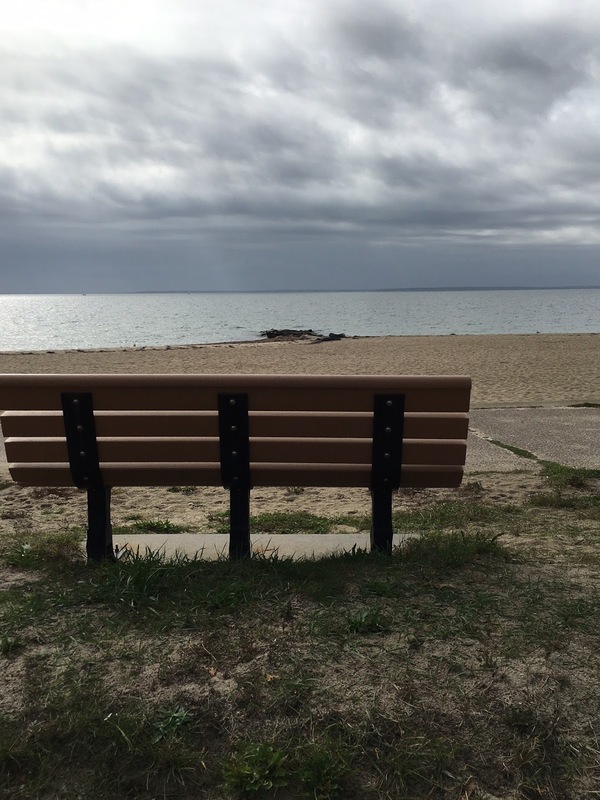 Next weekend is the Cape Cod Half and I plan to use it as a training run. I have a lot of friends and coworkers running along with my dad and one of my running clients so it should be a fun morning. Looking forward to crossing another finish line and receiving my medal from Beth again! · Kristen signed up for the Miami Half Marathon! · I started a new Sunday lunch break tradition… NormaTec and Chill. 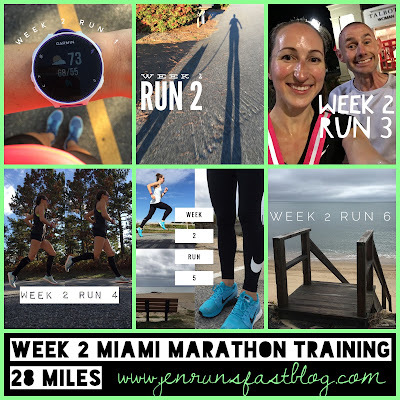 · 14 weeks until the Miami Marathon!